Eternal Bride offers a superb range of designer wedding dresses from some of the best wedding gown designers in Europe. Tilly Trotter’s Brides is based in the beautiful town of Royal Leamington Spa in Warwickshire. Promising an amazing experience from the moment you walk in the door, to the moment you walk down the aisle. Award Winning Bridal House, offering a wonderful hand–picked selection of wedding dresses, bridesmaid dresses and bridal accessories. Mallory Court in Leamington Spa. A beautiful manor house set in 10 acres of grounds. Coombe Abbey in Binley. This fairy tale venue stands in 500 acres of parkland, majestically overlooking a moat and lake. Warwick Castle in the exquisite surroundings of a magical State Dining Room along with glittering chandeliers. Barnsley House where attention to detail is like no other. Discreetly nestled in the stunning Cotswolds, a place you will not want to leave. Lord Leycester Hospitalin the heart of Warwick. Boasting a 12th Century Chantry Chapel and the delightful Masters gardens. Stanbrook Abbey with all its glory and majestical charm is a venue you won’t want to leave. Debonair Venue Styling are the West Midlands based leading bespoke wedding design and venue styling company. Hatton & Harding based in Warwick understand style like no-one else, working with you to create your dream bespoke wedding. Sarah Horne Flowers in Leamington Spa truly knows how to make your wedding unique. Homegrown, seasonal, British flowers, taking inspiration from surrounding nature itself. Rowena has a unique approach to make-up that will last all day. Award winning make-up artist Chloe is talented, passionate and has an eye for detail. With a flair for creativity, Craig captures your day unobtrusively. Martin & Gary capture your story through their eyes. Producing films to be watched for years to come….telling your story. With so many wines to choose from you will be spoilt by choice. The unmistakable voice of Andrew James offers a blend of piano, vocal, acoustic guitar and cajon, making their sound somewhat unique and certainly something a little different visually. The FABULOUS Nero String Quartet They are one of the most sought after quartets in the UK. The Perfect Palette exploring the color palette possibilities for your wedding and a place to find fun and creative wedding ideas! Glamour & Grace will provide you with an overload of chic design and fabulous imagery! Every Last Detail provides insight for brides encompassing every last detail of planning a wedding. 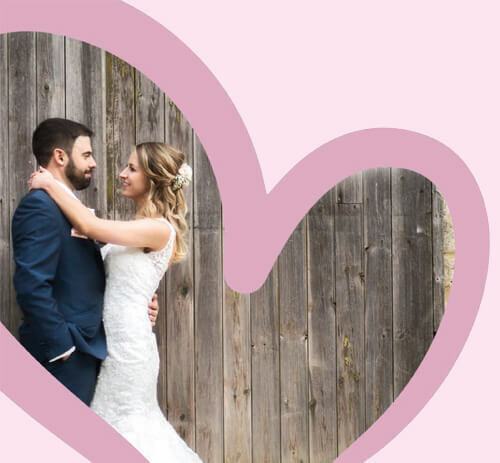 Bridal Musings is a chic and unique wedding blog. Keep yourself dry with Jolly Brolly every bride needs one!